Himmler thought "Nazi Germany [could] band together with the western allies against their common enemy–Stalin–to stamp out Bolshevism." A Canadian author claims he uncovered evidence showing that Heinrich Himmler, one of the architects of the Holocaust, was tricked into saving 300,000 Jews from concentration camps near the end of the war. In a new book, “In The Name of Humanity: The Secret Deal to End the Holocaust,” author Max Wallace says he uncovered evidence showing that Himmler’s decree to halt the mass execution of Jews near the end of the war was a result of secret talks initiated by Recha Sternbuch, an Orthodox woman who saved many Jews during the Holocaust. 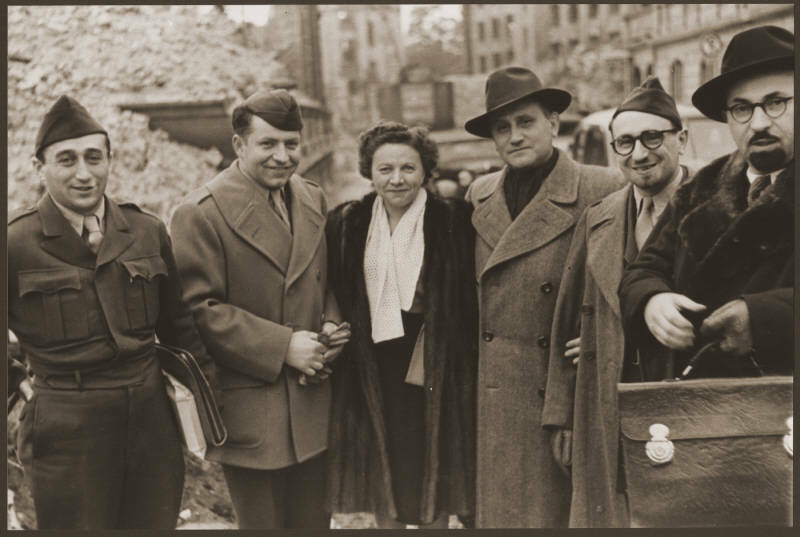 Sternbuch smuggled hundreds of Jews out of Nazi occupied territories into neutral Switzerland, despite being arrested and jailed once for her actions. She obtained travel papers from across the globe to send Jews to places where they would be safe. Wallace says he has “compelling documentation” discovered in the archives of an Orthodox Jewish group in New York, as well as declassified files from the U.S. War Refugee Board. The evidence apparently shows that in 1944, Sternbuch and her husband Isaac hired the former president of Switzerland, Jean-Marie Musy, to negotiate with Himmler to attempt to prevent more Jews from being murdered in his death camps. Himmler was one of the highest ranking officials in Nazi Germany, and was leading to major army groups. But he could see that the German cause was hopeless, and that it was only a matter of time before the Allies closed in and occupied his country. In late November 1944, Himmler ordered a halt on the killing of Jews in concentration camps, and called for the destruction of the gas chambers at Auschwitz-Birkenau. This order has been largely viewed by historians as an attempt to remove evidence of the genocide of the Jewish people so that he could receive lesser war-crime punishment, but Wallace argues that it was actually the result of secret negotiations made between Himmler and Musy. 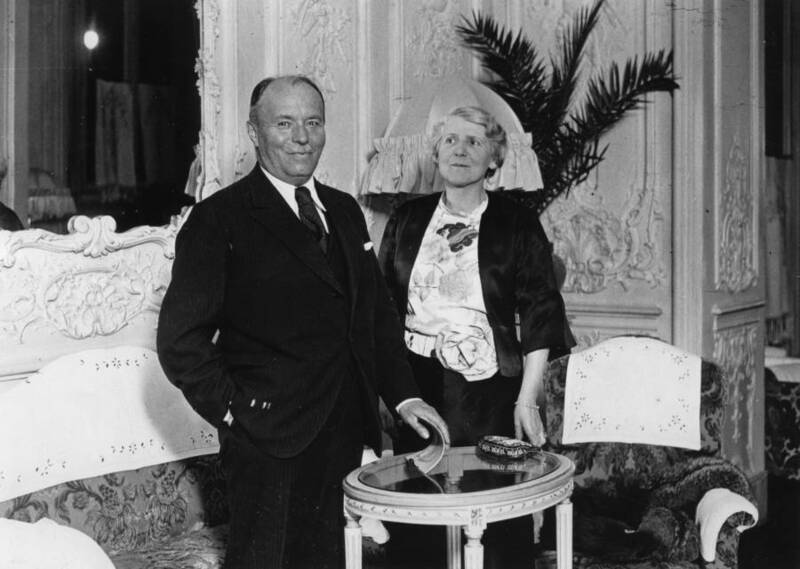 Imagno/Getty ImagesSwiss President Jean Marie Musy and his wife in Rome in 1930. Wallace claims that in these meetings, Musy convinced Himmler that if he were to halt the killing of the Jews, Germany would be able to negotiate with the Allies. 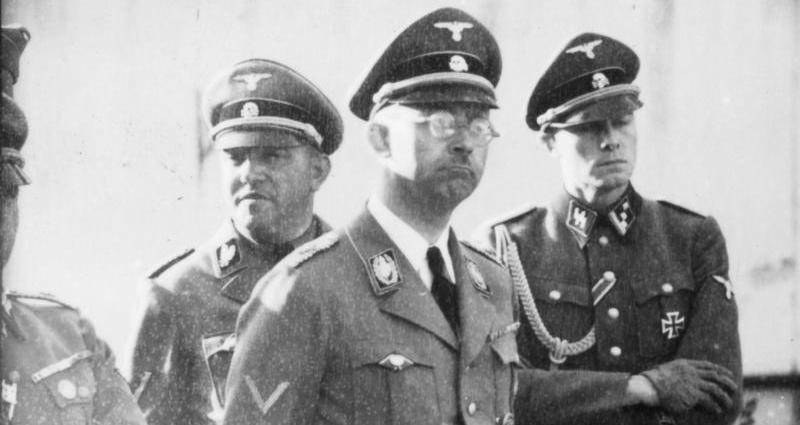 Himmler hated communism with the same fervor that he hated the Jews, and he felt such an alliance would allow him to save Germany and destroy the Soviet Union. But the idea was pure fantasy. With his order, which was made without Hitler’s knowledge, the killing of Jews in camps was stopped. While many still died from disease and starvation in concentration camps, they were no longer being executed en masse. Some 300,000 Jews were saved from death, according to the account. If Wallace’s claims are true, and these negotiations were the impetus for Himmler’s order, it would make Sternbuch and Musy two of the greatest saviors of Jews during the Holocaust. Next, read about the teenager who saved dozens of Jews from Nazi death squads. Then, check out these images from the Warsaw Ghetto Uprising, when the Jews fought back against the Nazis.